Yes, I know how to spell ‘stupid,’ please don’t e-mail me. I’m cranky and sore and upset. I’ve got a cold and an ear infection. 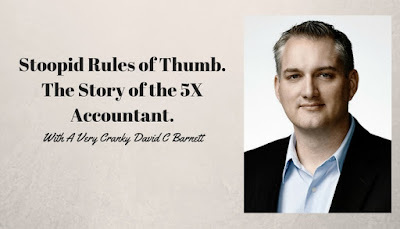 What makes me more cranky and upset is when I hear the same poor advice about rules of thumb for pricing small businesses being passed around again and again and again. Simplistic rules of thumb like this one guarantee only one thing… mistakes are being made and it’s costing someone dearly. 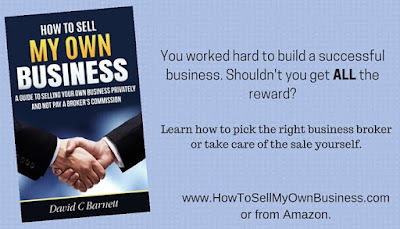 If you own a business and will want to sell one day, you need to educate yourself about how this process works and give yourself time to get ready. Please remember to like and share this article, it’s the only way the people who run the internet have of knowing if the content is any good or not. The more you share, the more likely someone who needs this information will be able to find it. Thanks and I’ll see you next time.